A local chamber choir of experienced amateur singers based in Andover, Hampshire, UK. and that you will keep abreast of forthcoming appearances. Click the links below to hear these rarely-performed works, recorded by The Harmonium Singers in St Mary's Church, Andover. The group was formed originally in 1971 with friends getting together to sing Christmas carols to the accompaniment of an antique portable harmonium. The instrument itself has long been left behind but the group has gone from strength to strength and established itself as a successful local chamber choir. Often singing without accompaniment, the Harmonium Singers specialise in smaller-scale choral repertoire from the 16th century to the present day, both sacred and secular. Thoughtful sequences of words and music with a particular theme or spiritual dimension have become a feature of programmes. The group often performs for local community or charity events in and around Andover. For more details see About us. The music of two young composers who lost their lives in World War 1 can be heard again thanks to The Harmonium Singers. The short choral anthems were included as part of the choir’s WW1 commemoration concert last year and are now available for the world to hear. It is thought that recordings of these pieces are still not available commercially, or even online until now. 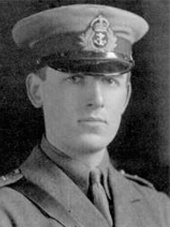 William Denis Browne’s five-part motet God is our strength and song was published in 1912, three years before he was killed in action. It is a powerful piece which takes the form of a vocal chorale-prelude, the chorale melody being sung by the second sopranos. He was a friend of Vaughan Williams and influential in the development of British music in the early 20th century. Several works survive, a few of which have been recorded. 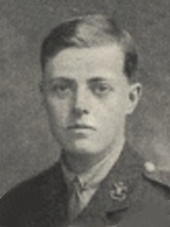 Francis Purcell Warren died in the Battle of the Somme in 1916 aged just 21. His few surviving works can only hint at his potential as a composer and he was held in great esteem by his contemporaries. His communion motet Ave verum is a simple but beautifully crafted miniature, no doubt intended for parish church use.